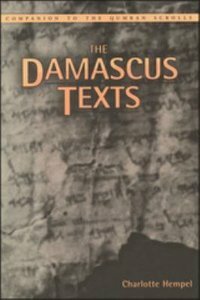 The Damascus document is one of the most important texts from the Qumran caves. Part One of this Companion offers a lucid and up-to-date introduction to all the manuscripts, including the eight recently published from Qumran Cave 4. It also provides a review of the key areas of scholarly research on this important Qumran text. Part Two is devoted to the recently published text 4QMiscellaneous Rules (4Q265; olim Serekh Damascus). This text has already become the subject of intense interest among students of the Dead Sea Scrolls because of its unique relationship to both the Community Rule and the Damascus Document. Charlotte Hempel is a Fellow of the Meyerhoff Center for Jewish Studies at the University of Maryland.